For a long time I had been joining the masses in going to the main Immigration Centre in Shinagawa. Most people know it as the “prison”, not only figuratively but also literally. 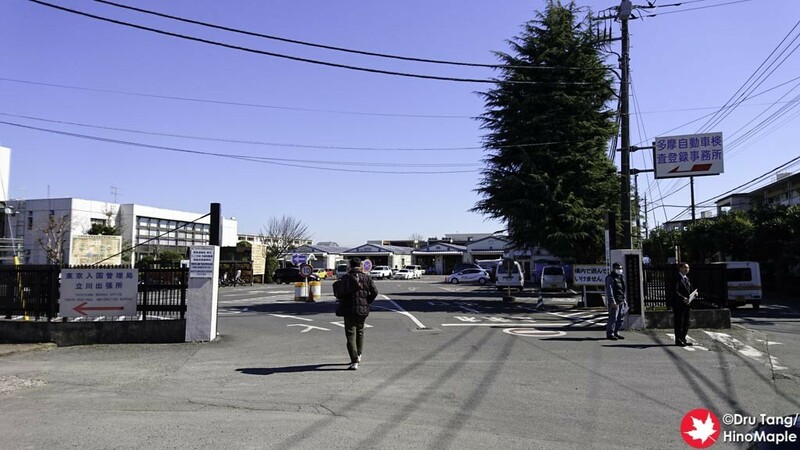 There actually is an immigration jail there where people are held awaiting deportation. It is located on a manmade island in the middle of an industrial complex. 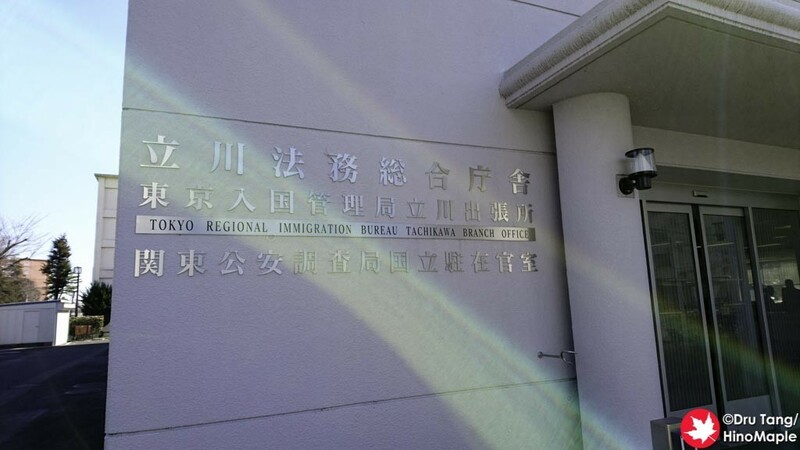 It isn’t a great place and everyone loathes going there, and so do I, so I decided to try going to the Tachikawa Immigration Centre which is a branch of the main Immigration Centre in Shinagawa. Getting to Tachikawa is pretty easy. Take any train that gets you to Tachikawa Station and then take a bus to the Immigration Centre. When I got to Tachikawa Station, I just walked out to the north side and look for the signs for bus bay 12. Thankfully there really is only 1 bus that stops there, aside from a few highway and night buses, and there is information in English. 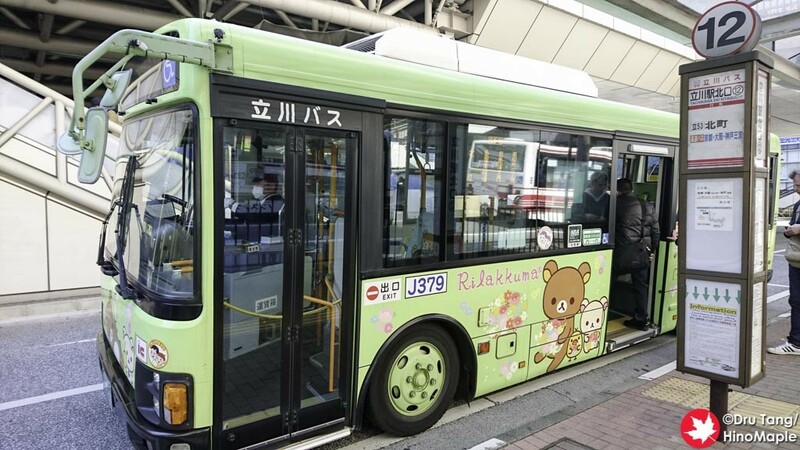 Take the 立53(北町) bus and you will eventually make it to the Tachikawa Immigration Centre. You do a bit of a drive around before getting to the Immigration Centre but you will get there. Once you get to the stop, which thankfully had a lot of English information as well, you have to find your way to the centre itself. When we stopped, I mainly followed everyone else as I figured the only other people getting off were also going to the Immigration Centre. I headed north and past the car inspection centre. You just keep going along a small access road but at least there is a sidewalk. I think the Ministry of Justice, the ministry operating the Immigration Centres, loves putting the offices in the middle of nowhere. Once at the Immigration Centre, I was surprised at how old the building was and how small the lobby was. There really wasn’t a need for so many people but there were already 24 people in front of me when I went, on October 1, 2015. When I went to pick up my visa, on March 2, 2016, the line was much shorter with only 2 people waiting to get their paperwork processed, and only 1 person at the counter picking up their visa. On my first visit, I arrived at the Immigration Centre at 1045 and thought that I could get out within an hour. In Shinagawa that would be a very realistic possibility but unfortunately it took 2 hours. 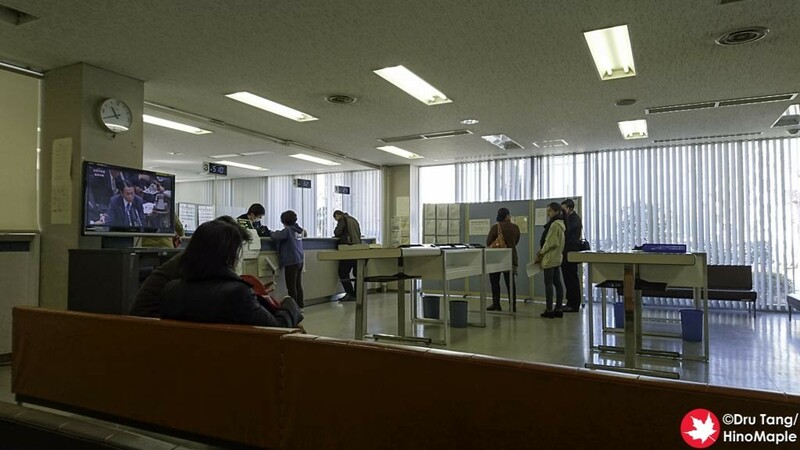 At Shinagawa you have to line up and get your documents inspected before you can see an official who processes the application. They tell you what you need to do before you even apply but in Tachikawa this doesn’t happen. 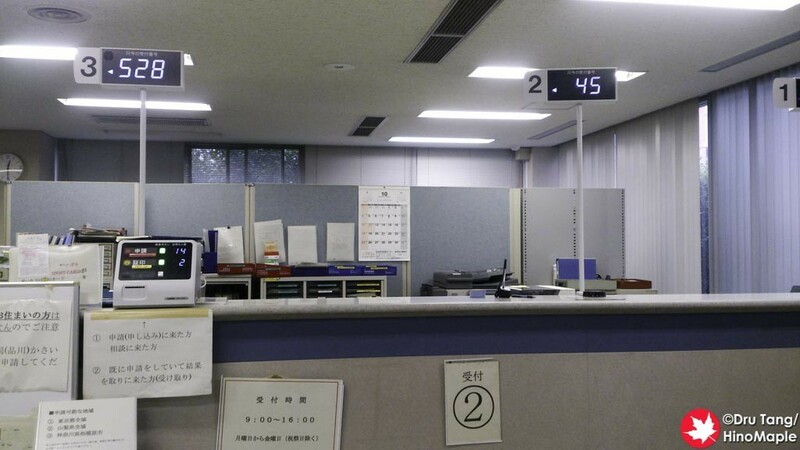 This is where Tachikawa takes a lot of time and the officers tend to run around making copies and preparing other documents for you. On my second visit, it was a very quick in and out and I was done in about 15 minutes. 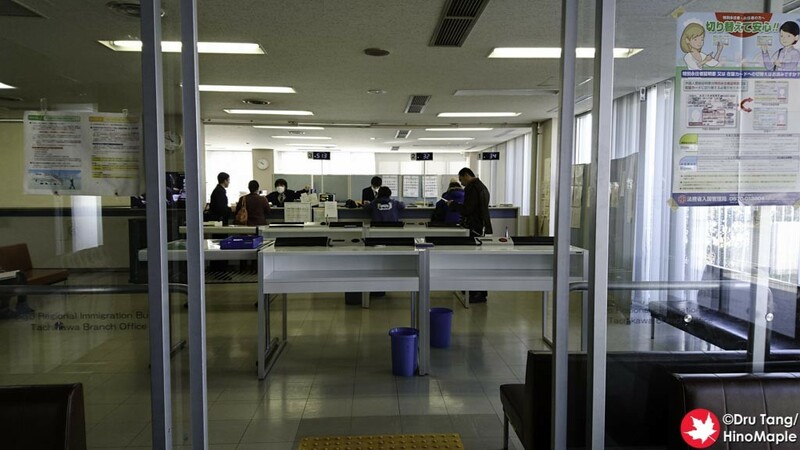 Usually at Shinagawa, it can also take an hour just to pick up your visa. I was caught completely off guard by this complete change and wondered why it was so busy on my first visit. The Tachikawa branch was very different to the Shinagawa branch in the fact that they appear to care a lot more about your application. 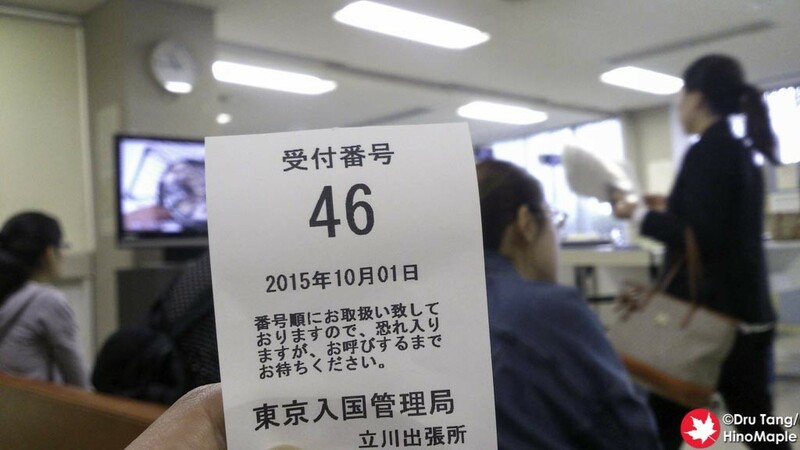 When I went to Shinagawa in 2014 to apply for Permanent Residency, they just took my documents and called it a day. In Tachikawa they actually requested more documents from me, documents that I didn’t have the first time I applied. I was surprised but happy that they asked because it is often a good sign that things would go smoothly. 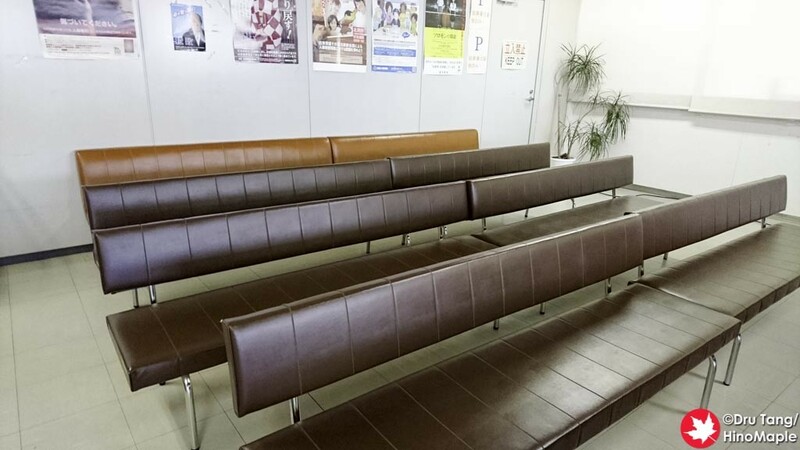 Overall, the Tachikawa Immigration Centre is a good place to visit but whether or not it is worth the trip is up to you. I would estimate it would take at most around 2 hours to get any application processed, unless you get there really early. I also assume that Shinagawa has gotten a lot faster in the morning and may be worth it. If you want to get your Automated Immigration Gate sticker at the same time, Shinagawa is the only place to do it. The main downside to Tachikawa is that they do take a lunch break. There are a maximum of 3 officers working at any time and during lunch at least 1 person goes on break. Obviously this is a problem with staffing levels and not a problem with the officers themselves, but be aware that once noon comes you will be waiting a lot longer as things come to a crawl. 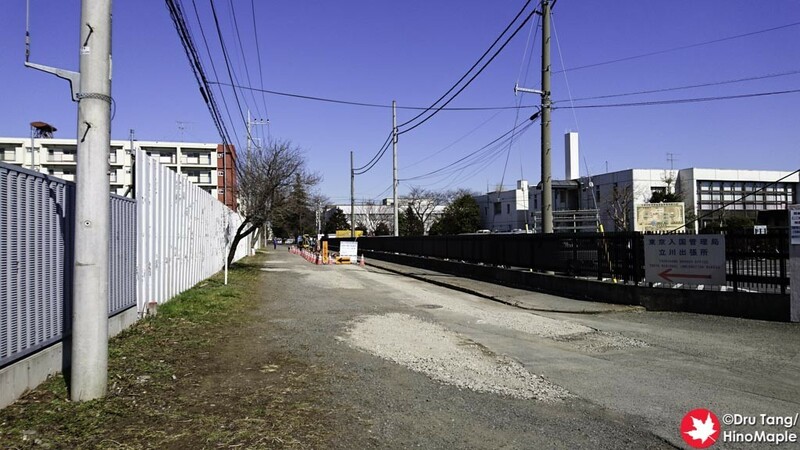 Should you go to Tachikawa or keep going to Shinagawa? 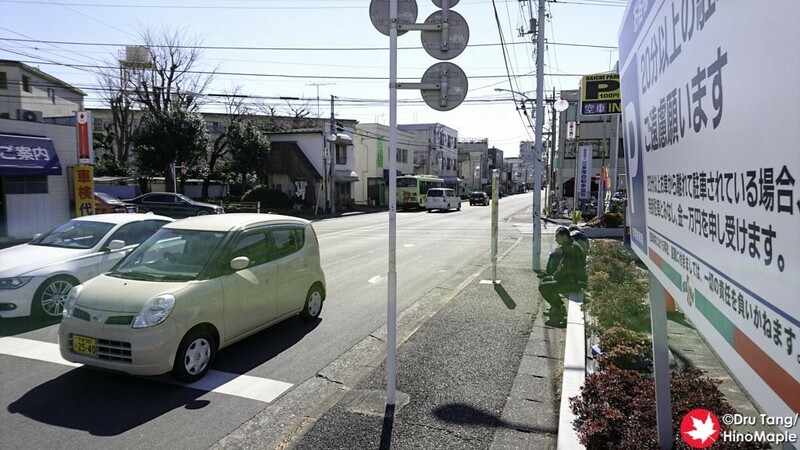 If you live in Tokyo and Tachikawa is more convenient for you, obviously go to Tachikawa. If it is more convenient to go to Shinagawa, you have to weigh the options and decide for yourself. I was under the assumption that Tachikawa would be faster, in general, and that there would be less hassle, but that was not true. It is just as difficult but at least there felt to be more light coming in from the windows and the officers didn’t seem too stressed out compared to Tokyo. 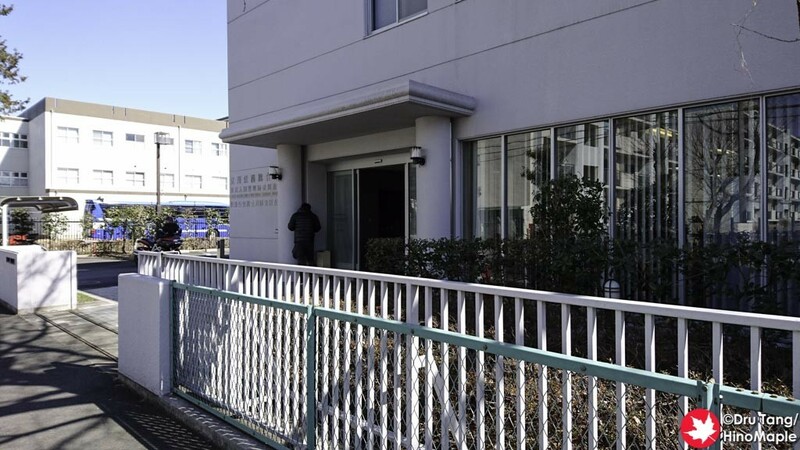 This entry was posted in Daily Life in Japan and tagged Immigration, Immigration Center, Immigration centre, japan, Tachikawa, tokyo, Tokyo Immigration Center, Tokyo immigration centre, Visa by Dru. Bookmark the permalink.